Creamy and filling with a light coconut touch, this cannabis-infused coconut curry is the perfect dish for cold winter nights. With a dash of cayenne to open up soft coconut milk, you won’t be able to help yourself from taking seconds—or thirds. Light up the sweet indica Mango as an after-dinner treat to finish off this delectable dish. Chop the garlic, ginger, and cilantro, and crush the fresh tomatoes using the back of a large spoon or a masher. Set aside. 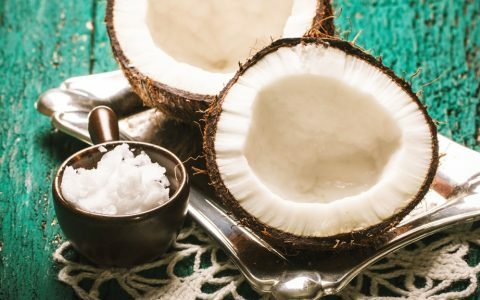 Heat the infused and standard coconut oil in a large pot over medium-high heat. Add the coriander and cumin seeds and toast them until browned. Then add the chopped garlic to the pot and allow to cook until browned. Add the crushed tomatoes, ginger, turmeric, and sea salt to the pot and allow to cook for about 5 minutes, stirring occasionally. Then add the lentils, the cayenne powder, and 3 cups of water. Bring to a boil, cover the pot, reduce heat to low, and let simmer for 40 minutes, stirring occasionally. Once the lentils are cooked and soft, add the coconut milk. Bring the mixture back to a simmer, and add the cilantro and a handful of cherry tomatoes (about 10). Stir,then remove from heat.